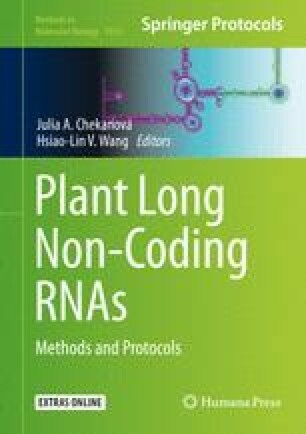 Long noncoding RNAs (lncRNAs) play important roles in several processes including control of gene expression. These RNAs function through binding to histone-modifying complexes and transcriptional machinery including transcription factor, mediator, and RNA polymerase II. We present methods for the discovery and characterization of lncRNAs. RNA immunoprecipitation (RIP) is a modified version of chromatin immunoprecipitation (ChIP), and it is now generally used in lncRNA study. The method allows for testing of lncRNA-protein interactions in vivo. RIP assay facilitates the identification of consensus sequences of preferred binding site for the RNA-binding protein under study, and identification of the binding sites can provide valuable information on the possible mechanism by which the RNA-binding protein functions.